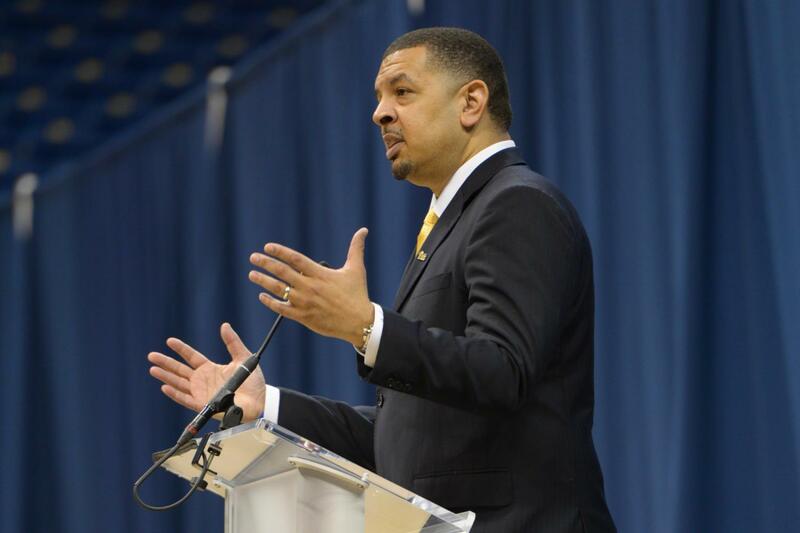 Not only is Pitt’s new men’s basketball head coach Jeff Capel a star recruiter and successful tournament coach, he brings something to Pitt that the program has never seen before. Specifically, Capel — a black man — is the first-ever head coach of any minority status to oversee the team. This isn’t unusual in college sports, and that’s a problem. A 2017 study conducted by The Institute for Diversity and Ethics in Sport at the University of Central Florida found that roughly 25 percent of men’s Division I basketball coaches were of color, with 22 percent being black. The numbers are similar for college football, with only 11 percent of FBS coaches being black — only 14 out of 129 programs. The numbers in coaching don’t seem all too startling at first, considering they closely reflect overall demographic trends in the United States. But when you look at who’s playing on the court and the field, the leadership disparity becomes alarmingly clear. According to the same study, 72.9 percent of Division I basketball players and 58.7 percent of football players are nonwhite. This means most athletes of color are led by individuals who do not look like them. This gap is comparable to a growing subject of research in the world of education and academia that explores the importance of minority teachers. This gap likely contributes to racial disparities in academic and personal performances and motivation and can be easily applied to the world of sports. A study published in the journal Educational Evaluation and Policy Analysis in March of 2018 found that when students had teachers of the same race as them, they reported feeling more interested in the work they were doing, more confident in their teachers’ abilities to communicate with them and more cared for overall. Though this may not directly reflect performance on the field — James Conner was still a legendary Pitt player with Pat Narduzzi at the helm — it doesn’t mean it won’t affect the choices of black players to take on leadership roles down the line. Another reason minority players may not be taking leadership roles is that they are simply not being offered these positions or steered in their direction. It’s a broken conduit that starts early. In high school football, for example, a 2013 study by Kennesaw State University found 62 percent of black high school quarterbacks changed positions in college, compared to only 16 percent of white quarterbacks who made the switch. In the NFL right now, Louisville draft prospect Lamar Jackson has had to go out of his way to prove he is a worthy quarterback as teams pressure him to make the switch to receiver. Jackson has the stats to back up his preferred position, passing for 7,203 yards and 57 touchdowns the past two years. But still, some coaches and programs don’t want Jackson — the only black quarterback in his prospect class — under center. In his book “Never Give Up on Your Dream: My Journey,” Warren Moon — the only African-American quarterback in the Pro Football Hall of Fame — chronicles the racism he encountered as a black quarterback while playing for the Houston Oilers in the mid-’80s and early ’90s. Moon recalls being repeatedly pushed to move to another position by coaches who assumed he lacked the smarts to call important plays. These instances are not isolated, unconnected or insignificant — and they reflect the lack of faith white coaches and leaders can have in giving a player of color an important leadership role. Many athletic directors signed, but one said they had not seen it, one blamed technical difficulties and some schools — like Notre Dame — claimed the pledge didn’t go far enough. Though the petition is an admirable step, it doesn’t do much in a quantifiable sense — any department could sign the pledge and continue on without any action occurring. The NFL’s Rooney Rule — spearheaded by former Pittsburgh Steelers owner Art Rooney and put in place in 2003 — is a rule within the league that requires programs with coaching vacancies to consider at least one candidate of color during the hiring process. The rule seems to work. Between 2003 and 2013, 17 teams hired either an African-American or Latino head coach or general manager. This progress probably would not have happened without the rule — especially considering that in the 80 years the NFL has existed without the rule, only seven head coaches of color were hired. At his first press conference as Pitt’s new head coach, Capel had no idea he was the first racial minority to hold the position but said it was a great honor to be the first coach of color at Pitt.